I don’t tend to read mainstream, unless it is something that catches my interest immediately. I read the Twilight series, but never read any Harry Potter for example. I do read a lot, well as much as I can since I like to write as well. Currently I can’t wait for Spirit (Elemental #3) by Brigid Kemmerer. I just finished Breathless the short novella and loved it. If anyone hasn’t heard of this series you need to check it out. Goodreads is a place to start or Amazon. I tend to collect books on my Kindle that sometimes sit for a while until I get a chance to read them. I’m always looking for something new. Any recommendations would be great so feel free to leave me a comment with a recommendation. 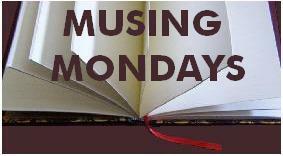 PLEASE LEAVE A COMMENT with either the link to your own Musing Mondays post, or share your musing in a comment here (if you don’t have a blog). Thanks! This entry was posted in Musing Mondays and tagged kemmerer, twilight series. Bookmark the permalink. I have to agree, I set all my books on my Kindle to the cover page so I can mentally recall them easier when looking for the next read.